True North Mortgage is a leader in the Canadian brokerage industry. It’s paved the way for countless brokers who target the online space. So when we heard that its founding partner and Chief Operating Officer, James Laird, was leaving, it begged the question: why? Laird cited everything from “online marketing to HR, which is a huge one and involves proper recruiting, effective hiring, good training processes, and then ongoing education so that your staff is always getting better…and then there’s technology. We’ve redone our site a couple times,” he says. In terms of quality of business, it’s likely “better than other referral sources,” he says. Very few people have made as big a contribution in as short a time at the consumer level of the mortgage brokerage business as James Laird. James was way ahead in his thinking about how technology, consumerism and process efficiency would impact our business. He brought a fine mind and genuine empathy for consumer needs to a business that far too often puts its faith in salesmanship and referral source acquisition. The next few years will prove just how right James was in viewing the consumer as the most important part of the mortgage process. I hope we see him back in our business in some capacity very soon. Does True North have the same rates for its online customers as it does in its stores? James’ contribution and understanding of the mortgage broker market in such a short time frame, will not go unnoticed. He possesses the entrepreneurial spirit to influence change, and his accomplishments in our industry were evidence of that. To one of James’ point, many changes have transpired from a regulatory perspective, that have created challenges for the entire industry, which will no doubt continue. It’s a new world out there for lenders and brokers alike, and although the on-line discounting space with its already significantly thinner margins may have made more sense to a small number of players, I would suggest that their efficiencies and margins will be affected going forward. The on-line game is certainly here to stay, but it will take quite some time before the industry and the consumer embraces it en mass. Consumers still appreciate the personal relationship they build with a professional, which will continue. 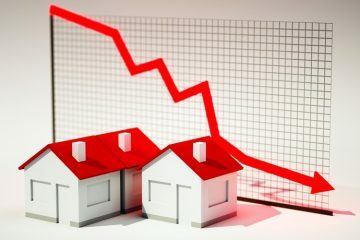 Just look at the real estate market, and how the professional advice of a well trained realtor who isn’t looking to clip margins down to next to nothing, is still very much the way the majority of business is conducted – and we all know that the on-line/ sell your own home sites exist in that business . Wise choice to move on after reaching a plateau James. Best of luck, I’m sure you’ll do well with wherever you land. You are very wrong about the comparison with Real Estate agents. The only reason that most people use a real estate agent is because of the real estate lobby and the complete collusion in the industry to NOT show your house if you list it with a discount broker. It would be the equivalent of banks refusing to work with brokers that discounted their rates by taking less commission. In addition, the real estate market is so hot and they are making so much money that they don’t have to cut rates. If a crash happens or there is a 5 to 10 year period of little to no price increases (ie. when interest rates go up) then you will see much more business go to discount realtors as consumers will be looking to save every dollar to break even. A relationship only comes into play when the costs are the same or you have such a huge brand recognition that people will pay more. James has also inspired much in the evolution of lenders and the program they offer. James contributions to the lender community and lender partnerships is highly valued and will be greatly missed. Good luck James on all your future endeavours. I hope we will again have a chance to work together in the spirit of co-operation and advancement of the mortgage brokerage industry. I haven’t had a lot of direct interaction with James, but I have heard nothing but good things about his passion for business excellence and professionalism. The more ethical thought leaders we can have like James in the industry – the better off we all are. The mortgage industry definitely benefited from your participation. Best of luck on your new pursuits James and I look forward to seeing you accomplish much more in the time ahead! True North is a real great company, and Mr. Laird will be in for a real challenge to try to build another type of operation in his career.